All the latest solutions for heating your house and improving your home’s energy efficiency. 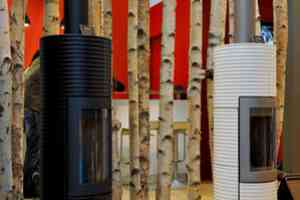 More heat, a warm, cosy feeling and a more energy-efficient home, who can resist the joy of an open fire? Whether you prefer an inset fire or flueless burner fireplace... you can enjoy the pleasure of a smokeless, odourless fire which is not only a source of heating but also a decorative feature.